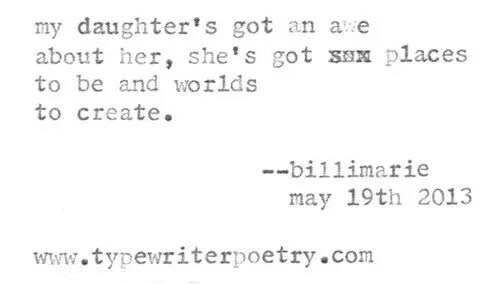 This one is for Eli who requested a poem about his daughter at WorldFest. You’ve encapsulated that sense of wonder so economically. Lovely. I hope someone says this about me. Resonating. This is incredibly beautiful.